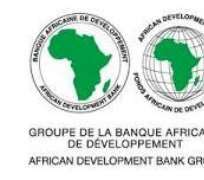 Abidjan, Côte d’Ivoire, April 5, 2018 – On Tuesday, March 27, 2018, the Board of Directors of the African Development Bank approved a US $50-million unfunded Risk Participation Agreement for Commerzbank AG (Commerzbank). The Risk Participation will leverage Commerzbank support to African issuing banks seeking to expand their trade finance operations. The portfolio of trade transactions supported will represent various economic sectors. The facility is thus well aligned with the Bank’s strategic priorities – the “ High 5s ” that are aimed at transforming Africa. The Risk Participation Agreement will run for three years as a 50/50 risk sharing arrangement. Counting rollovers, it is expected that the facility will support approximately US $700 million of trade in Africa over the period. This will be the African Development Bank’s second Risk Participation Agreement with Commerzbank, a major player in the global trade finance market with a significant Africa footprint.